You must make reservations at least 5 minutes in advance of the time at The Litchfield Saltwater Grille. We have easy stoplight access to highway 202 with a parking for more than 100 cars. Oversize vehicles welcome. The Saltwater Grille is Litchfield Hills' seafood destination with fresh ingredients, a warm setting and friendly staff. We are flexible for all occasions. We have private and semi-private rooms and, in weather permitting, Litchfield's largest outdoor dining. Room descriptions are on our website. For those who prefer other fare, we have great steaks, burgers, chicken and vegetarian options. 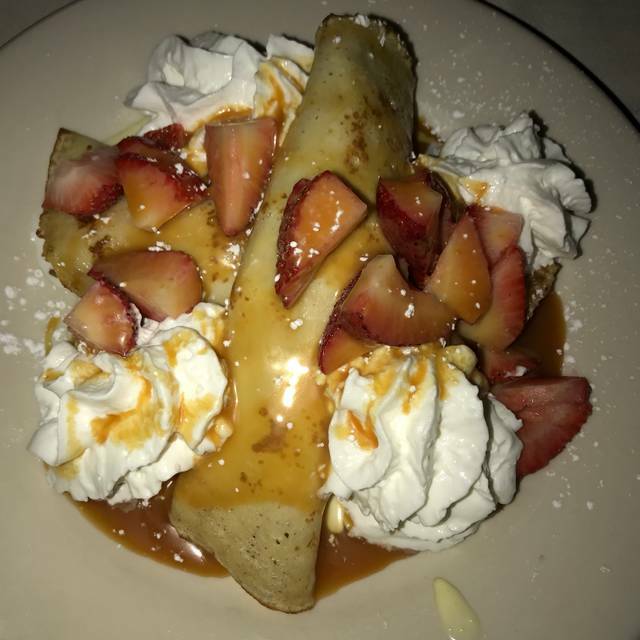 The Saltwater Grille, located in Litchfield, Connecticut, is a casual full service restaurant offering a variety of fresh fish and other seafood. Saltwater has an impressive wine list with over 400 wines. 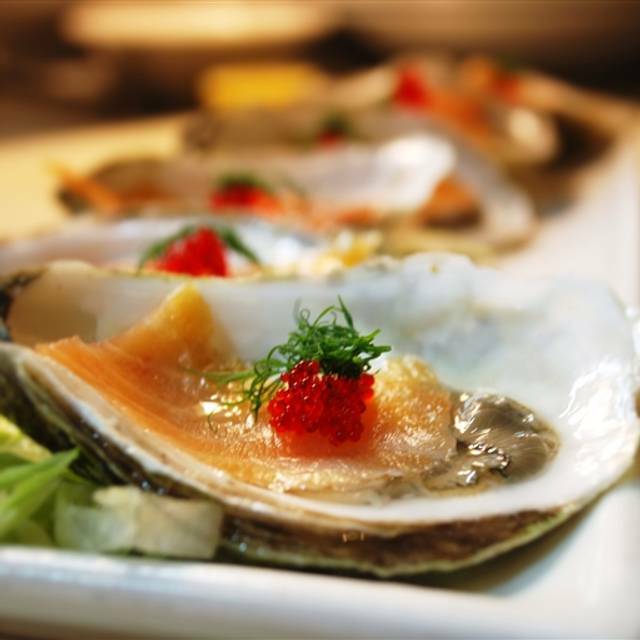 The New England restaurant offers some of the freshest raw and chilled seafood dishes like oysters and clams on the half shell. Additionally, you will find options for those looking for a great steak, chicken or vegetarian fare. A family friendly restaurant, Saltwater offers a children's menu for those under 12. 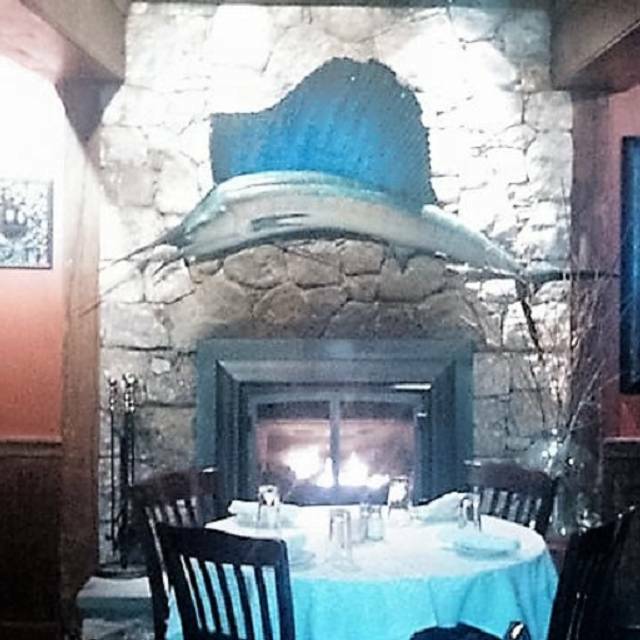 Join us in front of the fire in the lounge, in one of our four quiet dining rooms, or out on the patio (weather permitting!). The perfect place to meet friends for a delicious lunch. We were greeted with smiles from the staff. Soft shell crab sandwich was outstanding. A delightful restaurant. The food, service and appearance of the restaurant were wonderful. The issue I had was that there was a large group already seated and they put our party of two right next to the large group. We were only the 2 tables filled at the time so there were at least 15 empty tables. There was eventually 2 other tables seated, all in our little area. So it was loud and crowded and itt didn't have to be. Had a great time with friends. Food was perfect, service was exceptional. We took our time enjoying our friends company, and were not rushed with wine selection, or ordering food. The waitress was very accommodating and there was no urgency throughout our visit. We had reservations for 7pm and we were thee last to leave. Thank you for a PERFECT evening! We look forward to our next visit. A very fine restaurant, with food that is tasty. The wait staff do an outstanding job. I go here about every three weeks. The scallops wrapped in duck bacon is my favorite appetizer. Service very fast, like you sat down and they're like what would you like? Portions are generous. Included salad is fine, if tomatoes were very underripe. Potatoes with main were plain "boiled" boring, though the vegetables were good. Didn't have dessert. Stick with the plainer grilled items. Should have lobster rolls !!! The LSG was amazing. The oysters as advertised were plump, delicious and fresh. The food and service was great. My salmon, although very tasty, was not hot. Other than that, highly recommend it especially with the Groupon, made it even more enjoyable. The most delicious oysters I've had in quite some time (and shucked perfectly). We had 2 of the evening's specials, and they both were delicious. We were seated in their smaller dining room...so it was little quiet for my taste (I like to be able to talk without thinking everyone is listening). But the bar looked wonderful, and the other dining area looked inviting as well. Great food, great value (we used a Groupon that we received for Christmas). Only qualm was that we were seated right next to cussin' f-bombling regulars and nobody wants to hear that when they are trying to enjoy a nice dinner date out. The staff was very accommodating to move our seats and sympathize. We loved the gourmet food and live music. Artichoke dip could have been a little less watery, we make one at home that is a better recipe. Pistachio Salmon and Creme Brulee were especially delicious. We'd recommend the Groupon experience though. Best seafood in the area. Great ambiance and friendly staff. Nice place. Prices slightly higher than average but quality and ambiance reflected in price. Delicious food. The Litchfield Saltwater Grille is fabulous! I'm a little spoiled in that I live close to the shore so I wasn't expecting a place so far inland to do seafood so well. It was such an enjoyable experience celebrating my birthday here. Maria, our server was wonderful. We loved the cozy feel of the restaurant. Great drink selection! The tuna appitzer was excellent as well as the fried calamari. We also thoroughly enjoyed the salmon, swordfish, and shrimp and scallop pasta. We will definitely be back and recommend to others! The Saltwater Grill is a wonderful place. The food is perfectly prepared and generous in portion size. The atmosphere is warm and relaxing. Perfect for a date or special occasion. We had restaurant provided, complimentary tableside singers who sang acapella. A lovely touch for Valentines Day. Their wine and liquor list is extensive and contained many gems not found anywhere else. The service was warm and responsive without any hovering. I love this place and will return again many times. It was a great evening of drinks and dinner. The staff was very friendly and let us take our time so we didn't feel rushed! Will definitely be back. Outstanding!! The crab cakes were delicious! Will definitely be back!! Everything was great except the food was so under seasoned it had no flavor. Every dish. Disappointed. Went early so very few other people there. Had very good sword fish and the steak burger with salads for dinner and spectacular bread pudding for dessert. Service was good, food was served in a timely manner and all staff that came to the table was neatly dressed and very pleasant. We had an early reservation so the restaurant was nice and quiet. Our server was definitely on top of her game and the food was delicious! We enjoyed both the Onion Soup and the New England Clam Chowder. Best oysters in the area. Noise level depends on where one sits,The bar can be unsatisfactorily noisy when the band is playing! Overall, very good. Excellent service from Maddy. Fabulous New Year's Eve dinner. Excellent dinner menu rich in options and flavors. Shrimp cocktails, Baked Stuffed Clams for appetizers. 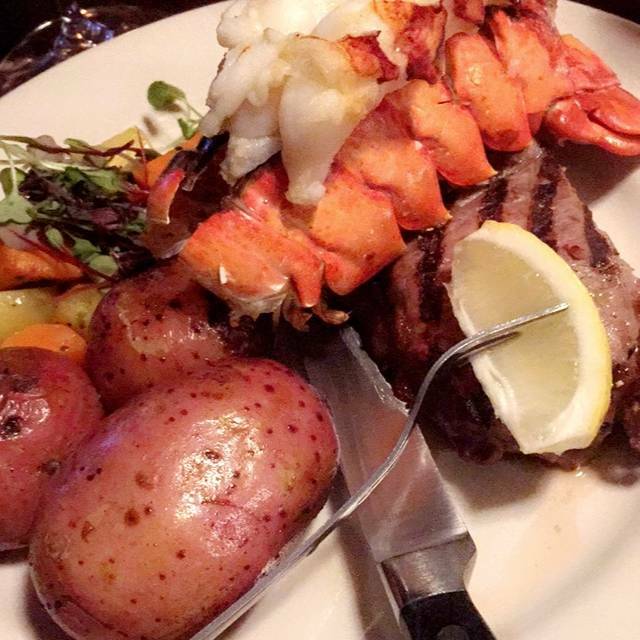 Steak and Lobster Tails for dinner. Rich and tasty desserts. Service was warm, efficient, unobtrusive and friendly all at the same time. Such a wonderful spot for a casual brunch or a special night out! I’m always so excited to come to the Saltwater Grille. Everyone from the host who seats you to the waiter’s are so nice the food selection is awesome and the food is always top notch and fresh! 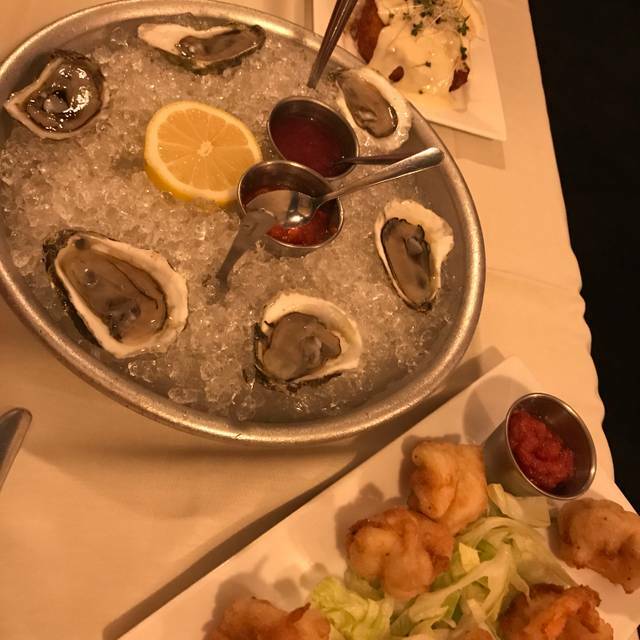 My husband and I usually start with the large cold seafood tower which is always fresh and tasty! I love this place, it’s a special occasion place for us as it’s 45 min from home but it’s worth it! The food was amazing and the service was great. We went there for our 26th Wedding Anniversary. Andy and his staff always come through. They are a staple in the Litchfield County area and beyond. First time that we sat in the dining room instead of the bar area. Bar area has much more ambiance. Calamari was small and lacking. Swordfish was so terrible. Tasted grey. Burger ordered to replace it came out dripping blood when ordered medium well. Waitress saw it and told us she would remove both dinners from our bill. She also brought a table size brownie sundae dessert. The food is excellent with a friendly staff. I’ve been there twice for birthdays and the complementary dessert were to die for. Will keep coming back. Our waitress was excellent! Vegetables that came with dinner were excellent! Execellent service, delicious food and great atmosphere. Very pleased with atmosphere, service and food. We used a Groupon and the menu was more than sufficient. Will definitely return. 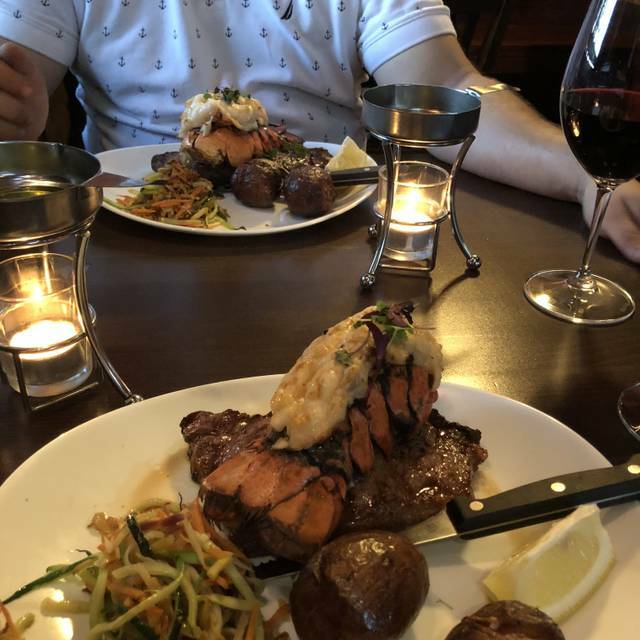 Saltwater is a great place for an outstanding meal. The hostess seated us immediately and was very friendly. Our waitress was also very attentive and friendly. The meal was outstanding. You gotta try the duck- bacon wrapped scallops! My wife and I went out for a Thursday night dinner. Our reservation was for 7:30, but we arrived early and they were able to seat us early. 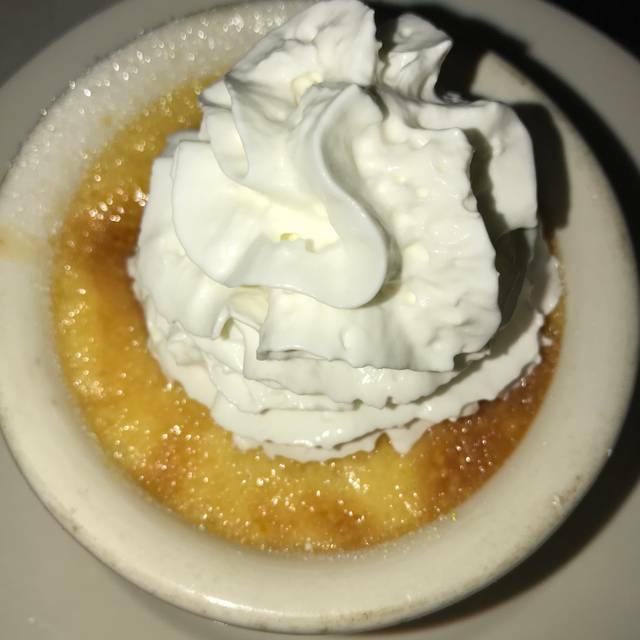 The food was fantastic and the service was exceptional. The waitress stopped in just enough to check in. We will definitely be back. Fantastic food! We were very impressed. The place has a nice ambiance and the atmosphere very relaxed. They do have a bar area for those wanting that kind of vibe. But our meals were perfect.